NeoGAF has been on the fritz since Saturday, when allegations of sexual harassment against the community’s founder, Tyler ‘Evilore’ Malka, came out. The site was intermittently down, many of its moderators left in protest, and all week there have been members leaving the forum loudly. As it stumbled a number of other sites have moved to take up the slack and pick up the GAFers looking for a new home. We reported on ResetEra, the new site from ex-NeoGAF moderators, and Open Critic is also trying to attract people to its forums. Today we’ve also heard of a new site, The Forum, that’s been put together by Angelo Sotira, founder of DeviantArt, and Janina Gavankar, the lead actor in Battlefront 2 (and also working on a secret project with Blizzard). Unlike most major gaming sites, it is going to operate on an invite-only basis along with approval membership. That should make it easy to lock people out of the discussion if they try to derail it. 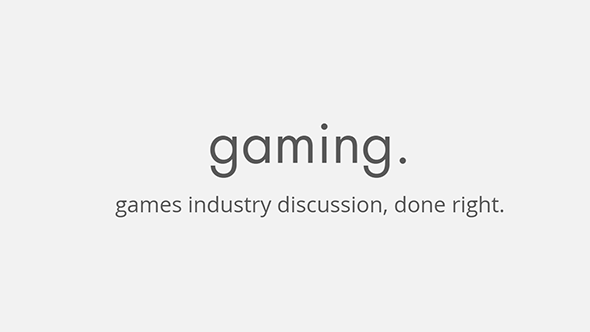 The site’s only been live for two days but there are a few discussion topics that are already active and most the people in those groups are game developers, some of them independent, others from studios such as Insomniac and publishers such as EA. According to Gavankar, there are plans in the works to make the site much faster by January, which will become more important if the site grows.